Angel Deradoorian is homeless. Granted, she’s not living on the streets, but she is homeless in the sense that she doesn’t have a set location to lay her head each night. Last December, shortly after returning home from the Red Bull Music Academy in Tokyo, she left Los Angeles, where she’d been living since 2012. Since then, the 29-year-old artist has been bouncing around the globe, largely alternating between abbreviated tours and stints crashing with various friends and family. This sense of creative wanderlust isn’t exactly new. 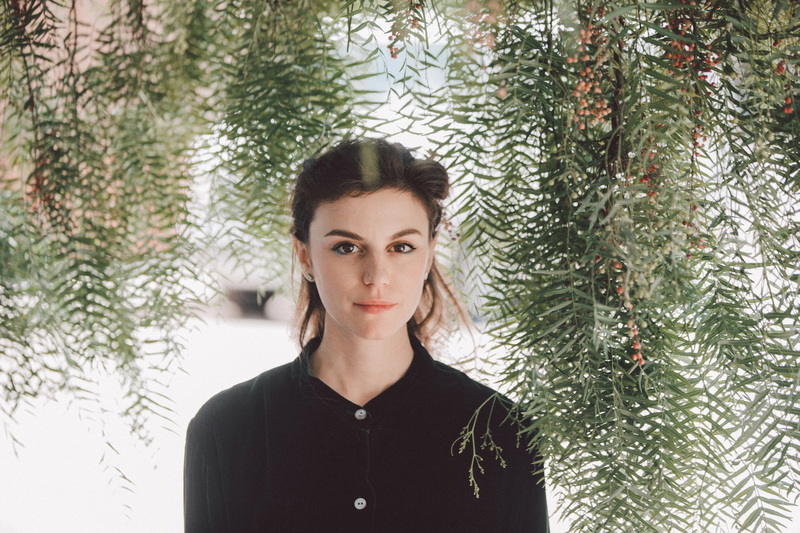 Though she’s been releasing music as a solo artist since the late ’00s—her first official release being 2009’s Mind Raft EP—Deradoorian has an extensive musical history that most prominently includes time spent in bands like Dirty Projectors and Avey Tare’s Slasher Flicks. 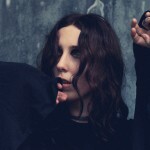 She’s also become something of a hired gun in recent years, making appearances on records by Flying Lotus, U2, Vampire Weekend, Charlie XCX, Matmos, The Roots, Prefuse 73, and Killers frontman Brandon Flowers. It’s an impressive resume, yet Deradoorian takes it all in stride. 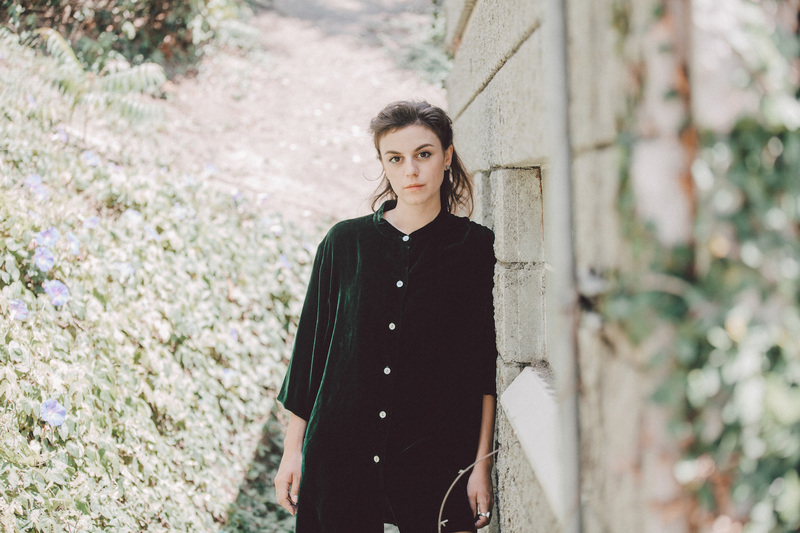 After leaving school, Deradoorian did spend a couple of years taking college classes, but she wanted to be a musician. At age 17, she left home and hit the road, jumping from one touring project to the next before she eventually landed in Brooklyn. 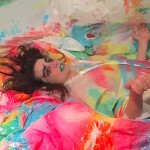 Once there, she quickly found herself playing in a multitude of different groups and coming into contact with all sorts of musicians, including Dirty Projectors frontman Dave Longstreth, who recruited her to join his band in 2007. 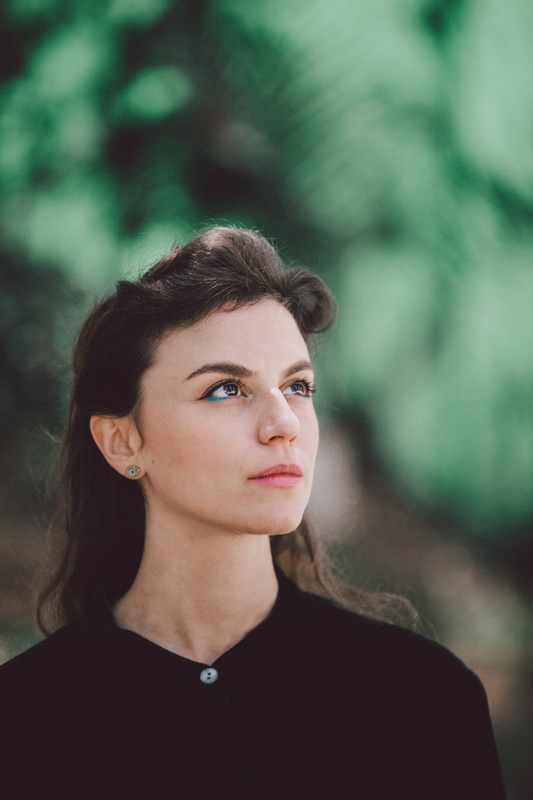 Deradoorian’s time in Dirty Projectors, including her prominent role in the band’s 2008 breakthrough album, Bitte Orca, has been well documented, as has Longstreth’s demanding nature. Nevertheless, she has nothing bad to say about the experience, and describes working with Longstreth as “inspiring.” Still, when the time came to record the follow-up to Bitte Orca, both of them knew that maybe it was time for a change. In 2012, Deradoorian and Portner relocated to Los Angeles, a move she wasn’t completely sure about. “California is my home,” she says. “I understand it very well, almost to the point where it’s like a tumultuous relationship or something. I love the nature. I love the beauty of the state, but there’s a whole other aspect of it that I struggle with…. I think the geographical layout and how much land and space there is in California can reflect in the mentality of creativity or community. The musical communities here feel more disjointed, a little farther apart from each other…. It takes a lot more effort to motivate when living in California. It’s telling that the first sound on the album is a pitch-shifted snippet of Deradoorian’s voice. The goblin-like clip intermittently recurs throughout the seasick Kraut-pop of LP opener “A Beautiful Woman,” and is just one of a litany of vocal acrobatics that appears on The Expanding Flower Planet. Whether she’s belting out a high-register melody, purring a bassy, hypnotic drone, or offering up something in between, her presence is simply mesmerizing. Deradoorian may be an accomplished multi-instrumentalist, but her voice—and, more importantly, her absolute command of it—is at the center of the album’s appeal. As for the music—which was written entirely by Deradoorian, who also played what she estimates to be “80 to 90-percent” of the sounds on the record—there are elements of pop, jazz, New Age, avant garde, Middle Eastern, Japanese, and East Indian music at work. However, aside from an occasional passing resemblance to the similarly genre-melding sounds of groups like Stereolab, The Expanding Flower Planet doesn’t really sound like anything, or anyone, else. Spiritual is a word that Deradoorian doesn’t shy away from when describing herself. While that notion does manifest itself in things like her dedication to yoga and exercise, it’s not limited to the physical realm. “I feel like I understand the importance of belief,” she says. “You can’t control everything as a person and it’s kind of ridiculous to think that you could…. I need to have spirituality, like a belief or a faith in something very beyond myself, to carry me through life. Music does that and then I have my own kind of system I created. Her honesty also extends to her willingness to speak about the reality of being a female artist, including the fact that her physical appearance sometimes gets as much as attention as her music. “It’s kind of ridiculous,” she says. “You’ll be on lists. I’ve been on lists like ‘Cute Chicks in Indie Music,’ and I’m like, ‘Okay… I don’t care.’ It’s so weird to me, but women are looked at that way. They’re these beautiful beings on Earth and that’s part of what they’re associated with, and I can’t help but be a woman and have that association. Deradoorian’s debut album is due out next Friday through Anticon. Check out the Mad Libs sheet she filled out for us in the summer issue of self-titled, now available through our free iPad app. "Everything was this musical.... really graceful and beautiful, but none of it was actually there"
Next Is Bradford Cox Announcing a New Deerhunter Album on AM Radio Tonight?